TPS has learned that Dan Marr will be named the Director of NHL Central Scouting. 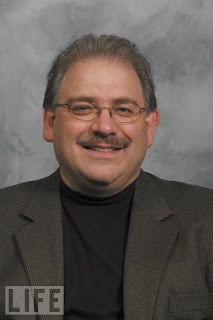 Marr was the head scout and director of player development with the Atlanta Trashers before they became the Winnipeg Jets. He was among the house cleaning that included Don Waddell, Craig Ramsay and Rick Dudley. Marr had been with the organization since they joined the NHL. in 1999. 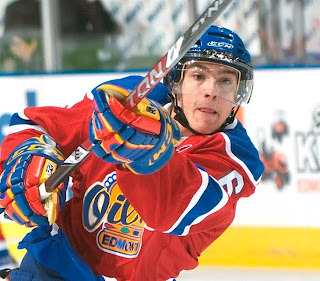 The Edmonton Oil Kings have parted ways with defencemen Braeden "Bunny" Laroque. With several of his now former Edmonton teammates wishing him well in Seattle via Twitter, we know that he will be joining the Thunderbirds. 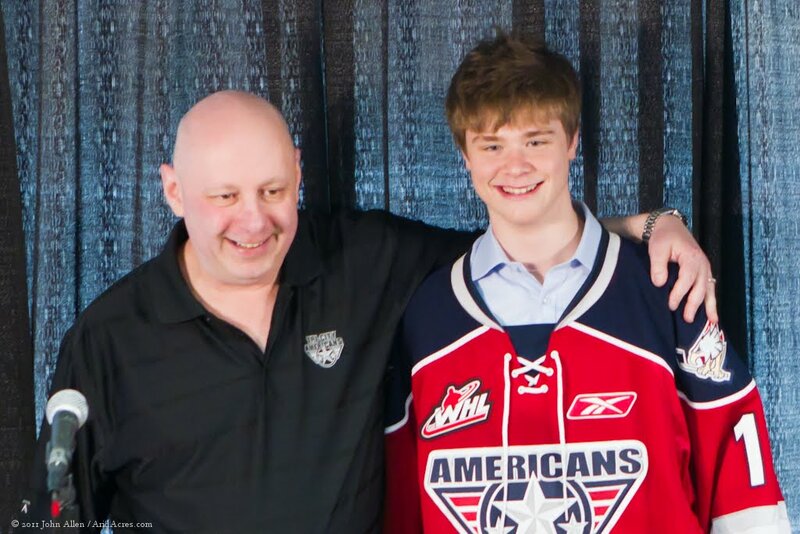 Laroque, is a 19-year-old blueliner that lost his spot in the roster with the additions of import Martin Gernat (EDM), Ashton Sautner and Mason Geertsen. The native of Saskatoon has appeared in 120 WHL games and has accumulated 8 points and 78 penalty minutes. Hockey East and the NCAA championship game seem to go hand in hand. At least they did until last year. The 2011 final was the first time the bouncers kept them out of the party in 6 years. From 2006-2010 Boston College or Boston University reached the final with the Eagles winning twice and the Terriers once. So will the beasts from the east return to the big dance and if so, who's the favourite? We previewed the conference with Jimmy Conelly who covers the league for USCHO.COM. It's already been described as the Year of the Defenceman so it shouldn't surprise anyone that the first five members of the Draft Class of 2012 that we have interviewed on TPS this year have all been blueliners. Already in Season 7 we have talked to Everett's Ryan Murray, Dubuque's Michael Matheson, Dillon Fournier from Rouyn-Noranda, Portland's Derrick Pouliot and yesterday on TPS we spoke with Jacob Trouba from the U.S. Development Program. 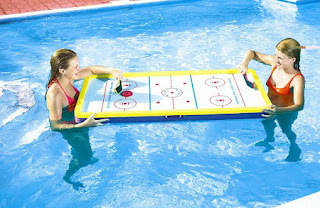 There are just 9 sleeps before the start of the 2011-12 NHL regular season schedule. Most teams have gotten down to a very workable number of players left in their camps and a number of those are potential rookies of note. Over the first 15 days of September we went team-by-team projecting who we thought might challenge for roster spots. Here is a list of who is still vying for a NHL job. The Pipeline Show is excited to be able to bring you some bonus content from our friends at PuckLife. From time to time, we'll be posting player profiles written by some of PuckLife's scribes but that still fit the format of what we do here at Coming Down the Pipe and on the air with TPS. It's back again, this time better than ever before! The Pipeline Show Hockey Pool returns and for the first time ever, Dean won't be keeping track of points and the standings from home with a pencil and calculator! We've got an easy, do it yourself website partner so you can quickly and simply enter your team. It's still free to enter but now there is no need to email your selections in to us plus... there is NO LIMIT to the amount of people who can enter the pool! Last year we could only accept the first 20 people and boy did we hear about it. That's no longer the case. The only stipulation is that you must be at least 18-years-old to enter. With Brandon and Moose Jaw locking horns on Thursday night, the WHL season is officially underway. On Tuesday's show we ran through the entire league with the help of play-by-play voices Corey Graham (Edmonton) and Dan Elliott (Vancouver). Based on those discussions and my own preconceived thoughts, I'm ready to throw out my predictions for the 2011-12 campaign. Remembering that 12 months ago I boldly predicted that the WHL Champion Kootenay Ice wouldn't even make the playoffs last year... maybe I shouldn't even be doing this but what the hell. I should point out that this is only my prediction and doesn't reflect what Dean's predictions might be. 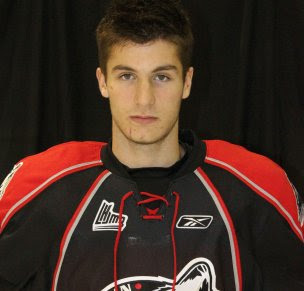 He's on his second QMJHL team in less than a year and has been drafted first overall twice in the same time span. It's been a strange start to his junior career but defenceman Dillon Fournier is determined to show that he's able to overcome obstacles and is a player that NHL teams should be looking hard at in advance of the 2012 NHL entry draft. Fournier was a guest on The Pipeline Show last night as part of our regular segment where we spotlight a player eligible for the next NHL Draft. "Everyone told us that we couldn't win with a 16-year-old goalie and all he did was take us to the Memorial Cup." That is a quote from Tri-City Americans GM Bob Tory from his September 3rd appearance on our show. 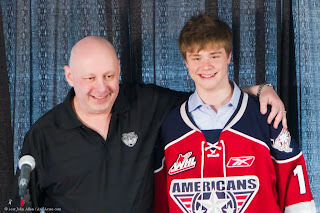 On paper, the Americans are arguably as deep as any other team in the WHL and may have the best trio of overage players as well. But after trading away both 20-year-old starter Drew Owsley and solid prospect Chris Driedger, Tory is taking a huge risk putting most of his eggs in the very young basket of Eric Comrie. Then again, Tory is no stranger to this scenario and it's paid off pretty well for him in the past. I'm a fan of Peter Loubardias. The person and the play by play man. That's why I was sad to hear that he wouldn't be returning to the broadcast booth as voice of the Calgary Flames on Rogers Sportsnet this year. However, that is management's right to make changes where they see fit. Another two-part CHL league preview, a look at goalies in the WHL and the NHL, who played well in Penticton, are Drew Doughty and Kyle Turris getting bad advice and a key prospect for 2012 makes his TPS debut. 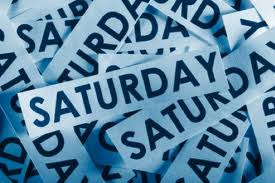 In short, another busy and interesting edition of The Pipeline Show for your Saturday morning. 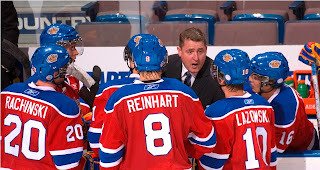 It wasn't the record that they were looking for but the Edmonton Oil Kings have probably seen all they needed to through a 2-3 exhibition schedule to get ready for the 2011-12 season. With 9 players away for NHL rookie camps for half of the pre-season and a couple of others on the shelf, the brass got to see several top youngsters in plenty of action for the last ten days. All that's left are the cuts. For the past 15 days TPS has taken a look at one team from the Eastern conference and one club from the West, spotlighting a rookie or two to watch for this season. This afternoon we wrap up the series as we explore the freshmen candidates of the Philadelphia Flyers. Each Day until September 15th TPS will take a look at one team from the East and one team from the West and spotlight a few rookies to watch for this season. Today in the West it’s the Columbus Blue Jackets. "He may have to have surgery and if he does he may be lost to us for a 4-5 month range, depending on rehab." 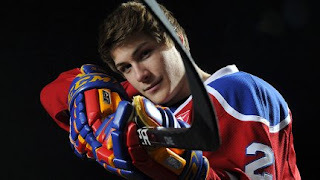 That coming from Edmonton Oil Kings head coach Derek Laxdal in conversation with Corey Graham tonight on TEAM 1260's Sports Night Live in regards to injured forward Travis Ewanyk. It's not a certainty yet but as the old saying goes, "hope for the best but plan for the worst". 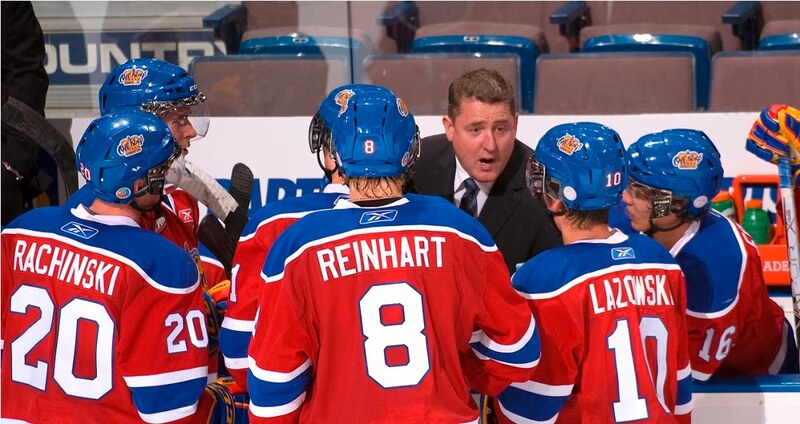 It would be a big loss for the WHL club but as the coach said, the team does have options. Each day until September 15th TPS will take a look at one team from the Eastern conference and one club from the West, spotlighting a rookie or two to watch for this season. This afternoon we explore the freshmen candidates of the Ottawa Senators. Each Day until September 15th TPS will take a look at one team from the East and one team from the West and spotlight a few rookies to watch for this season. Today in the West it’s the Nashville Predators. Tonight we previewed the CHL league that will host the Mastercard Memorial Cup, went in depth with the CHL scholarship program, spoke to a future Boston College Eagle who will play in the USHL this season and checked in on the Traverse City rookie tournament as well as went inside the AJHL. Each day until September 15th TPS will take a look at one team from the Eastern conference and one club from the West, spotlighting a rookie or two to watch for this season. This afternoon we explore the freshmen candidates of the Florida Panthers. Each Day until September 15th TPS will take a look at one team from the East and one team from the West and spotlight a few rookies to watch for this season. Today in the West it’s the St. Louis Blues. Just how good could the Portland Winterhawks be this season? Well they had to cancel a pre season game because of a lack of players. That might not sound good on the surface, but when you find out the reason, you will realize how good their talent level could be this year. Each day until September 15th TPS will take a look at one team from the Eastern conference and one club from the West, spotlighting a rookie or two to watch for this season. This afternoon we explore the freshmen candidates of the Pittsburgh Penguins. 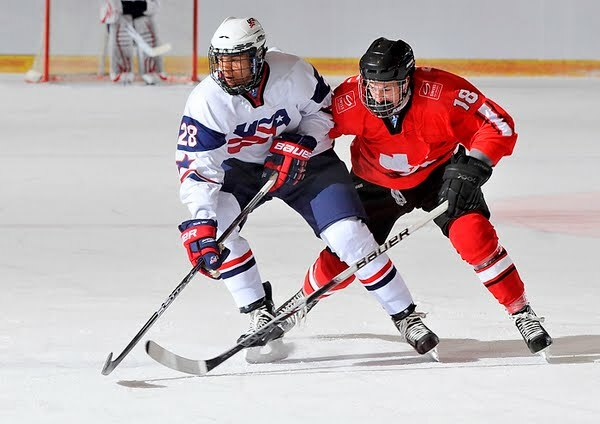 Each Day until September 15th TPS will take a look at one team from the East and one team from the West and spotlight a few rookies to watch for this season. Today in the West it’s the Detroit Red Wings. Each day until September 15th TPS will take a look at one team from the Eastern conference and one club from the West, spotlighting a rookie or two to watch for this season. This afternoon we explore the freshmen candidates of the Winnipeg Jets. Each Day until September 15th TPS will take a look at one team from the East and one team from the West and spotlight a few rookies to watch for this season. Today in the West it’s the Chicago Blackhawks. It's not every show that we have a member of the NHL Hall of Fame on the program but that was the case today. Plus we spoke with another CHL General Manager, a WHL assistant coach who was in Europe this summer spreading the gospel of hockey, we heard from a writer from USCHO.com who has been outspoken against the CHL scholastic program and we chatted with the head coach from one of the top CIS hockey programs in Canada. Each day until September 15th TPS will take a look at one team from the Eastern conference and one club from the West, spotlighting a rookie or two to watch for this season. This afternoon we explore the freshmen candidates of the New York Islanders. Each Day until September 15th TPS will take a look at one team from the East and one team from the West and spotlight a few rookies to watch for this season. 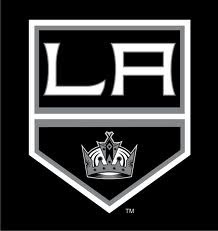 Today in the West it’s the LA Kings. Each day until September 15th TPS will take a look at one team from the Eastern conference and one club from the West, spotlighting a rookie or two to watch for this season. This afternoon we explore the freshmen candidates of the Buffalo Sabres. 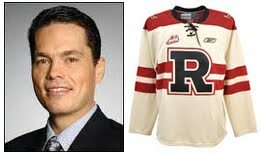 "If your career in the CHL doesn't give you an NHL or AHL contract you receive an education package for 4 years." That's a quote from Kyle Dubas, the General Manager of the OHL's Sault Ste. Marie Greyhounds, from August 8th via Twitter. I thought it was pretty much the perfect summation of the CHL's often talked about scholarship package. But does it really stand up to an examination? Each Day until September 15th TPS will take a look at one team from the East and one team from the West and spotlight a few rookies to watch for this season. Today in the West it’s the Phoenix Coyotes. Each day until September 15th TPS will take a look at one team from the Eastern Conference and one club from the West and spotlight a few rookies to watch for this season. 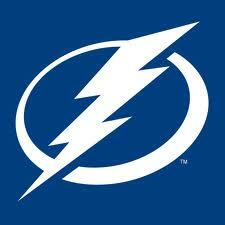 This afternoon we explore the potential first year guys for the Tampa Bay Lightning. Each Day until September 15th TPS will take a look at one team from the East and one team from the West and spotlight a few rookies to watch for this season. Today in the West it’s the Anaheim Ducks. Each day until September 15th TPS will take a look at one team from the East and one club from the West and spotlight a few rookies to watch for this season. 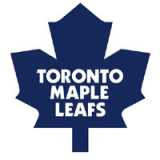 This afternoon we explore the potential first year guys for the Toronto Maple Leafs. Each Day until September 15th TPS will take a look at one team from the East and one team from the West and spotlight a few rookies to watch for this season. Today in the West it’s the San Jose Sharks. 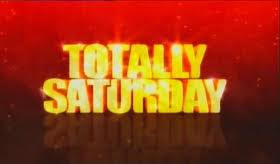 Each day until September 15th TPS will take a look at one team from the East and another club from the West and spotlight a few rookies to watch for this season. 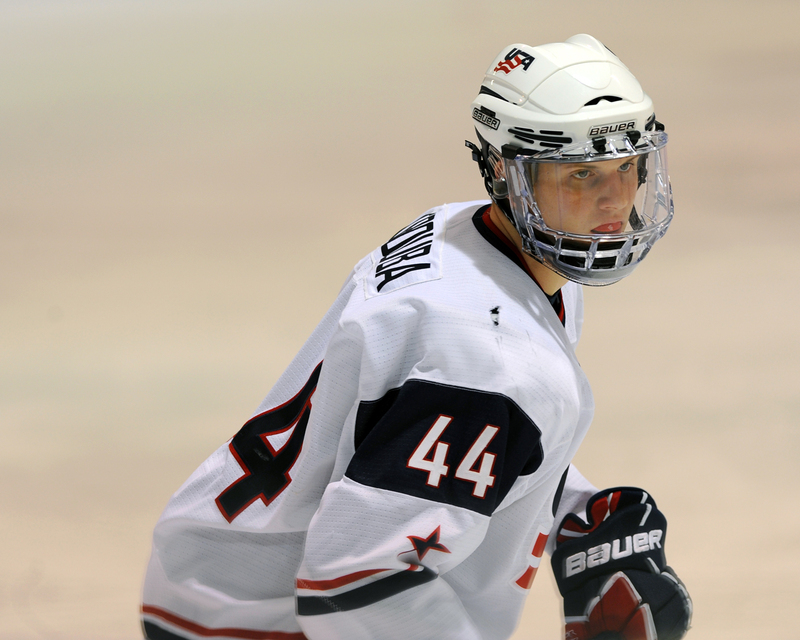 This afternoon we explore the potential rookies for the Washington Capitals. Each Day until September 15th TPS will take a look at one team from the East and one team from the West and spotlight a few rookies to watch for this season. Today in the West it’s the Dallas Stars. Each Day until September 15th TPS will take a look at one team from the East and one team from the West and spotlight a few rookies to watch for this season. This afternoon's Eastern team in the spotlight is the New Jersey Devils. Each Day until September 15th TPS will take a look at one team from the Eastern Conference and one team from the West and spotlight a few rookies to watch for this season. Today in the West it’s the Colorado Avalanche. Each Day until September 15th TPS will take a look at one team from the East and one team from the West and spotlight a few rookies to watch for this season. This afternoon we explore the possibilities for the Montréal Canadiens. Each Day until September 15th TPS will take a look at one team from the East and one team from the West and spotlight a few rookies to watch for this season. Today in the West it’s the Minnesota Wild. Not to steal screen time away from our ongoing "Rookie Watch" series but we had a show this morning and as always, we like to offer up a bit of a recap for those that missed it live. A retired NHL enforcer, a WHL GM, the new head scout for Phoenix, a writer from The Hockey News and our QMJHL prognosticator made up the guest list for today. Each Day until September 15th TPS will take a look at one team from the East and one team from the West and spotlight a few rookies to watch for this season. This time around in the East it’s the Carolina Hurricanes. Each Day until September 15th TPS will take a look at one team from the East and one team from the West and spotlight a few rookies to watch for this season. Today in the West it’s the Edmonton Oilers. Each Day until September 15th TPS will take a look at one team from the East and one team from the West and spotlight a few rookies to watch for this season. Today in the East it’s the New York Rangers. Each Day until September 15th TPS will take a look at one team from the East and one team from the West and spotlight a few rookies to watch for this season. 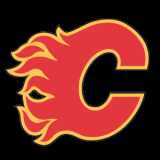 Today in the West it’s the Calgary Flames. Each Day until September 15th TPS will take a look at one team from the East and one team from the West and spotlight a few rookies to watch for this season. Since Dean began his half of the job with the Vancouver Canucks I thought it only fitting to look at the other finalist, the defending Stanley Cup champion Boston Bruins. Each Day until September 15th TPS will take a look at one team from the East and one team from the West and spotlight a few rookies to watch for this season. Today in the West it’s the Vancouver Canucks.